A new sound hit the Broadway stage with In the Heights, which was conceived and written by Lin-Manuel Miranda, years before he was the mastermind behind the cultural phenomenon Hamilton. Bringing in the varied beats of Latin music, the impressive rhymes of rap, and narrative hip-hop, the Tony-winning In the Heights proves that musical theatre has safely crossed the threshold of multi-culturalism and safely landed in the 21st century. Drawing on the ethnic flavors of Latin music influences and the modern popular styles of rap and hip-hop, In the Heights tells the story of a close group of friends in the Washington Heights area of Manhattan. The community is a mix of ethnicities from Puerto Rico, Haiti, the Dominican Republic, and the Caribbean, but they all share the commonality of struggling with the American dream and worrying about gentrification in their little enclave of New York City. Usnavi, a bodega owner, is the protagonist and the narrator, as audiences follow a single weekend in the lives of this block's residents. His cousin, the goofy teen Sonny, helps him run the bodega and encourages him to ask out his crush, Vanessa, who works at the salon and dreams of moving out of the barrio. Meanwhile, Nina, the daughter of the local cab company's owner, returns home from Stanford, carrying a secret: she's dropped out because she had to work two jobs to afford tuition, leading to a drop in her grades and the loss of her scholarship. While Nina reconnects with Benny, one of her father's employees and an ambitious would-be businessman, the group discovers that a $96,000 lottery ticket was sold on their block. The mystery of who won the lottery, plus a power outage on the Fourth of July, drives all the characters to confront their problems and what they really want out of life. While not your grandma's Rodgers and Hammerstein music, In the Heights is a traditional book musical with a clever use of hip-hop as narrative and recitative and unabashed Latin soul throughout. Lin-Manuel Miranda's inclusion of rap for his character as "Usnavi" in no way takes away from the musical theatre genre, as a die-heard musical fan might fear; it instead introduces a new vernacular, much the way that Hair and Rent, among others, helped bring rock and Broadway together. In the Heights employs a purposeful blend of modern and ethnic music styles coming together to create a cast album you will want to listen to over and over again. 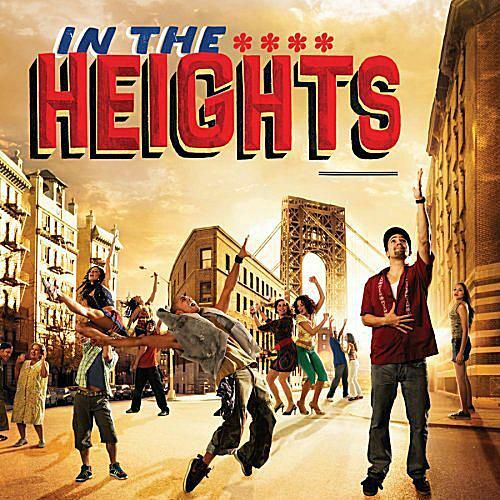 For the 2008-2009 Broadway season, In the Heights won Tony Awards in the categories of Best Musical (for producers Kevin McCollum, Jeffrey Seller, Jill Furman, Sander Jacobs, Goodman/Grossman, Peter Fine, and Everett/Skipper), Best Score (Music and/or Lyrics) for Lin-Manuel Miranda, Best Choreographer for Andy Blankenbuehler, and Best Orchestrations for Alex Lacamoire and Bill Sherman. Other shows nominated in the same season included Passing Strange, Cry-Baby, and Xanadu, as well as revivals of South Pacific, Grease, Gypsy, and Sunday in the Park with George. The cast album for the Tony Award-winning In the Heights is performed by the exceptional original Broadway cast. This wonderful cast includes Mandy Gonzalez as "Nina" and Karen Olivo, who won the Tony Award for her role as "Anita" in the revival of West Side Story, singing the role of "Vanessa." Emmy Award winner Christopher Jackson performs as "Benny" and In the Heights creator Lin-Manuel Miranda plays "Usnavi." 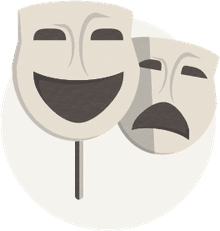 Both Gonzalez and Olivo give powerful, emotional performances from both acting and vocal perspectives, but the standout performer is Olga Merediz as "Abuela Claudia." Merediz adeptly delivers a performance filled with spot-on comedic touches and great heart. Lending their voices on this great cast album in principal and supporting roles are Janet Dacal as "Carla," Priscilla Lopez as "Camila," Andréa Burns as "Daniela," Eliseo Román as "Piragua Guy," Seth Stewart as "Graffiti Pete," Carlos Goméz as "Kevin," and Robin De Jesús as "Sonny." The ensemble includes Michael Balderrama, Blanca Camacho, Tony Chiroldes, Rogelio Douglas, Jr., Rosie Lani Fiedelman, Joshua Henry, Afra Hines, Stephanie Klemons, Nina Lafarga, Doreen Montalvo (as the "Bolero singer"), Javier Munoz, Krysta Rodriguez, Eliseo Roman, Luis Salgado, Shaun Taylor-Corbett, and Rickey Tripp. Due to the high quality of the music, the vocal performances, and sound production, this cast album also won the 2008 Grammy Award for Best Musical Show Album. In the Heights opens the door for more stories to be told from the perspective of non-traditional music styles and contribute to the melting pot heritage that is the heart of musical theatre. Review of Katy Perry's "Dark Horse"